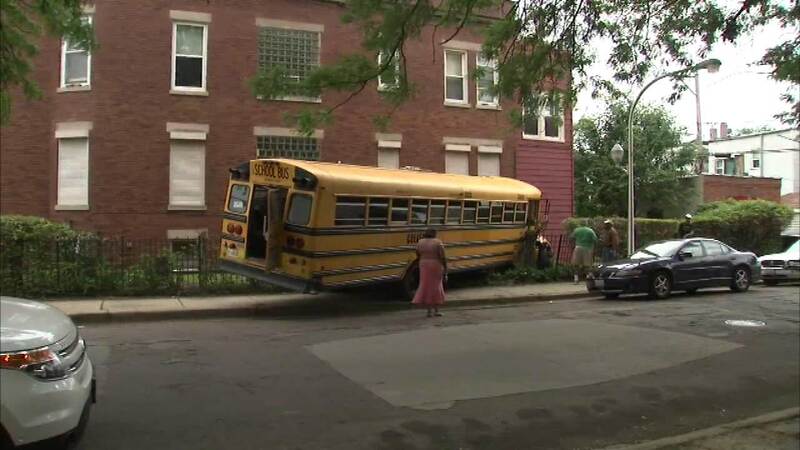 CHICAGO (WLS) -- A school bus drove into an apartment building in the city's South Side, officials said. The crash happened near 65th and Green around 3:15 p.m. Monday; Chicago Fire Department officials say no one was on the bus when emergency crews arrived on-scene and police say the bus may have been stolen by some children. The building did not suffer significant damage. No other details have been released and no one is in custody.